We all know that greens are good for us, but eating enough on a daily basis can be a real struggle…(chomp, chomp, chew, chew). Leafy greens supply our bodies with many essential vitamins and minerals, and are known to help prevent cancer and a host of other illnesses. 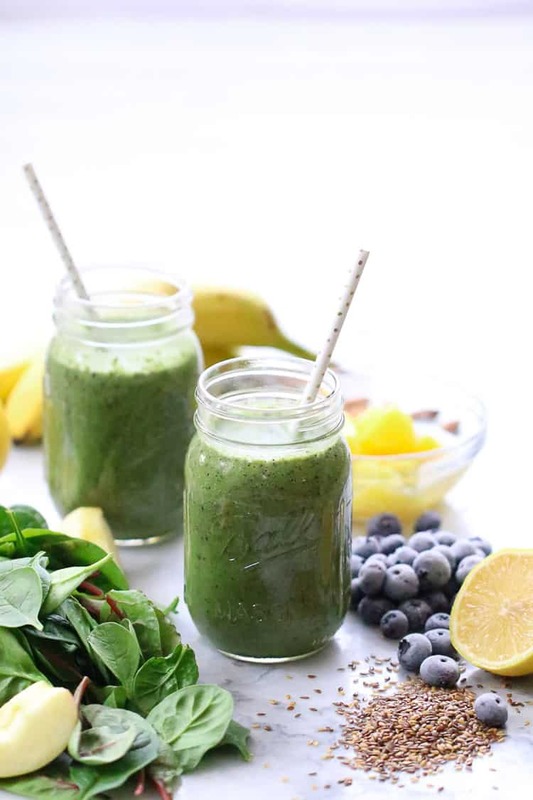 This Green Smoothie is a delightfully camouflaged method of rapidly downing your greens (along with plenty of other goodness) in such a way that your tastebuds (and kids!) will thank you! 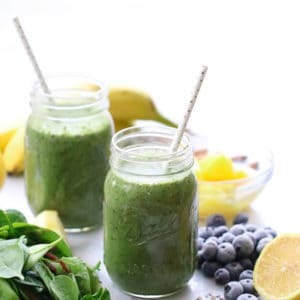 This Green Smoothie is a fabulous daily routine in our family, loved by both parents and kids! 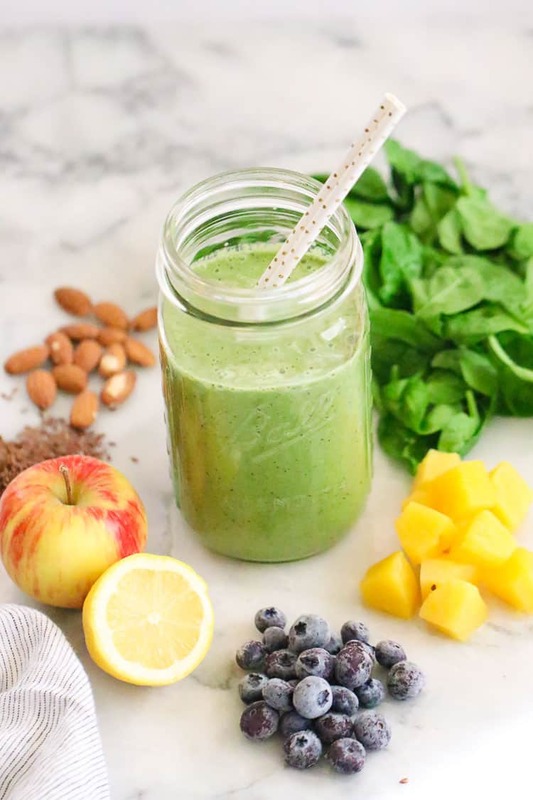 This green smoothie is highly customizable, as most smoothies are, but the real secret of hiding the ‘green’ taste is the canned pineapple with it’s juice! You definitely won’t want to leave that out! Gather the green smoothie ingredients together. 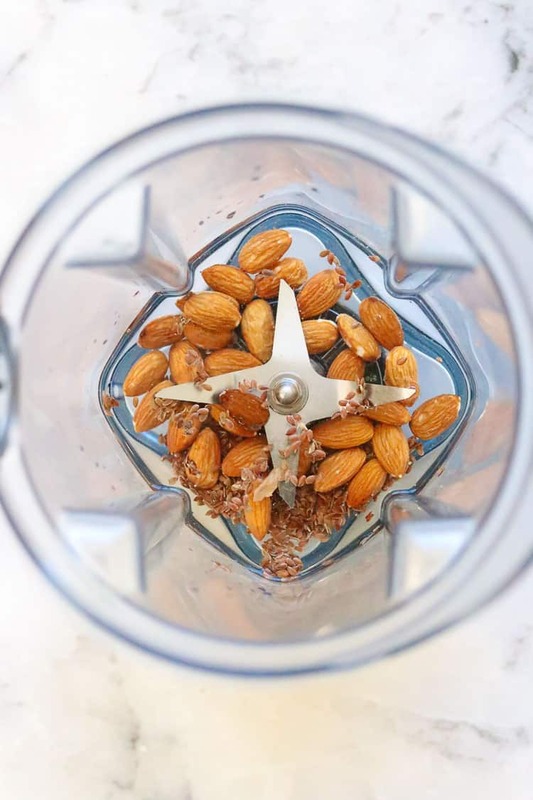 If you’re using raw almonds (rather than store bought almond milk) you may want to start by blending the flax seeds, almonds, and water together. Now you’ve created your own almond-flax-seed milk. 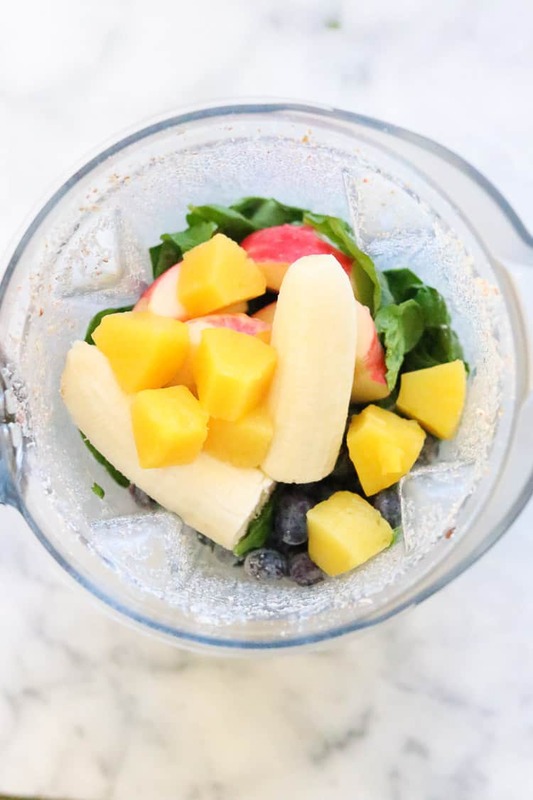 Add the rest of the ingredients to the blender! And blend! Just look at all that glorious nutrition! !! Can I make my green smoothie a day ahead? 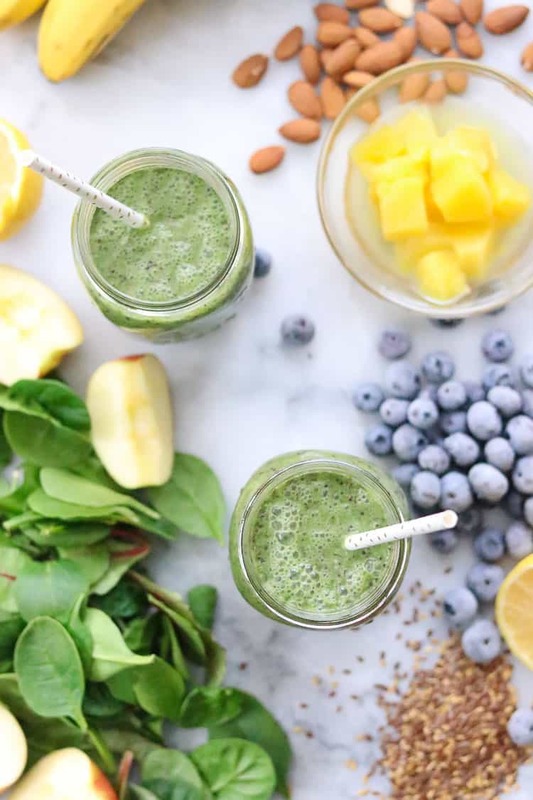 If you’d like to make your green smoothie a day ahead, be sure to go light on the flax seeds, as they will tend to thicken your smoothie over time. Pro cooking tip: If you have a high power blender such as a vitamix, you should be able to add everything to your blender at once without pre-blending the almonds, flax-seed, and water. I recommend that at least one or two of your smoothie ingredients be frozen or chilled if your prefer a cool green smoothie – I certainly do! 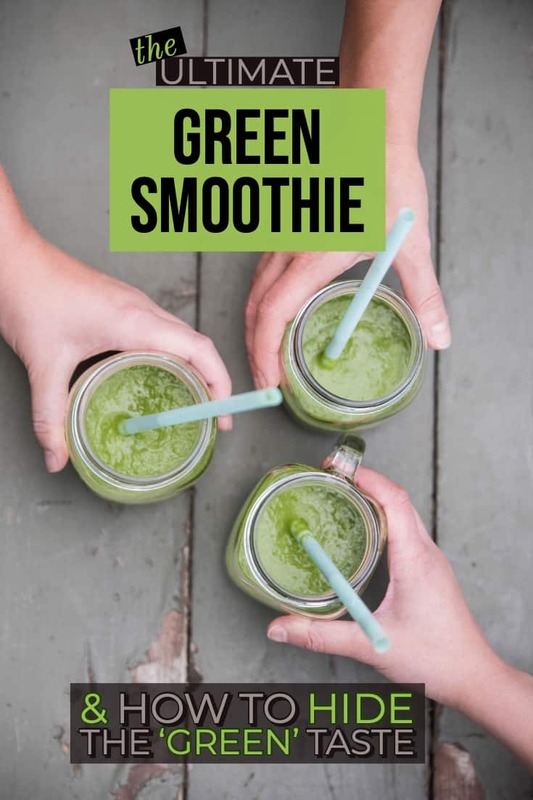 If you’ve tried this Ultimate Green Smoothie or any other recipe on my blog then don’t forget to rate the recipe and let me know how you got on in the comments below, I LOVE hearing from you! You can also FOLLOW ME on FACEBOOK, INSTAGRAM and PINTEREST to see more delicious food and what this blueberry farm girl is keeping busy doing!!! 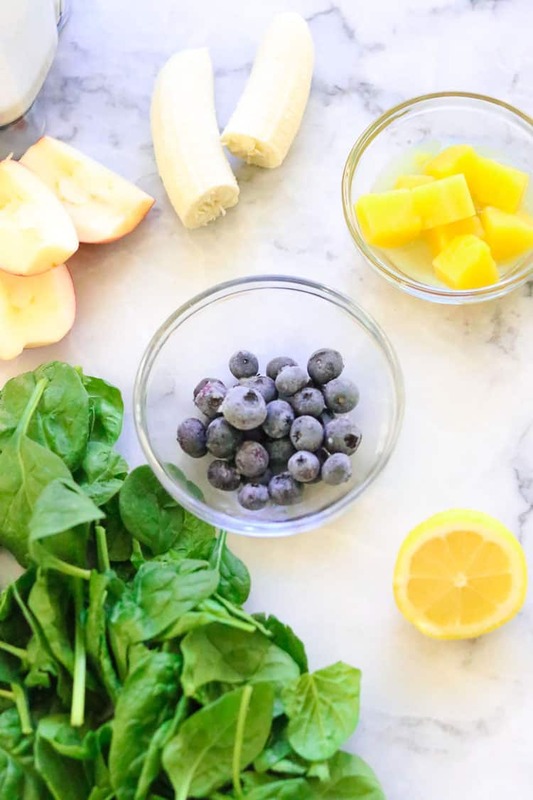 This Ultimate Green Smoothie is super healthy for you AND tastes amazing! None of that 'green' taste, thanks to the wonders of pineapple. Kid and adult favorite! 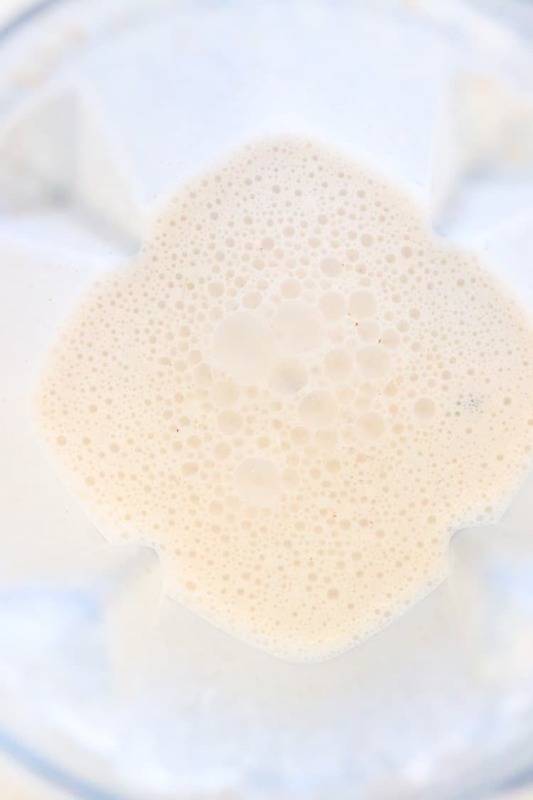 If you are opting to use almonds and water instead of pre-made almond milk, start by blending your nuts, flax seeds, and water together until a smooth, creamy milk is formed. Then pile in the rest of your ingredients. 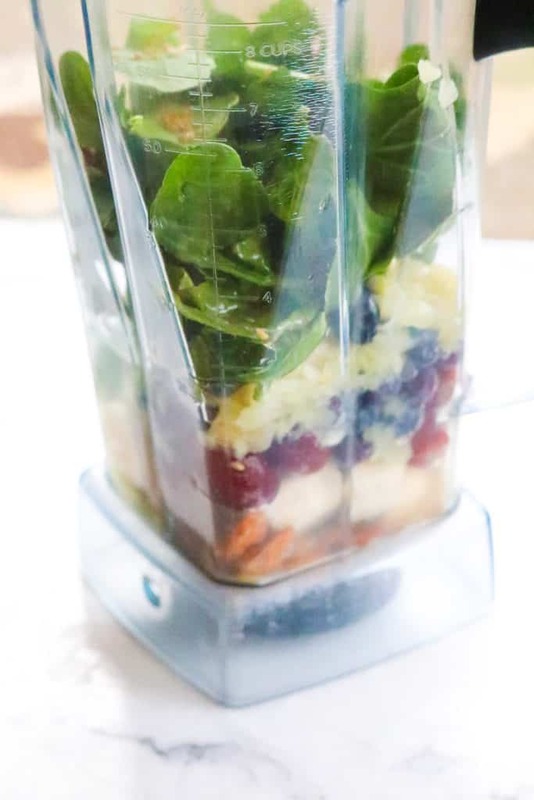 Spinach and kale, canned pineapple, blueberries, banana, apple, and fresh lemon juice. Blend it all until you are satisfied that all those greens are liquified and then drink up the goodness!!! I recommend that at least one or two of your smoothie ingredients be frozen or chilled if your prefer a cool green smoothie - I certainly do! 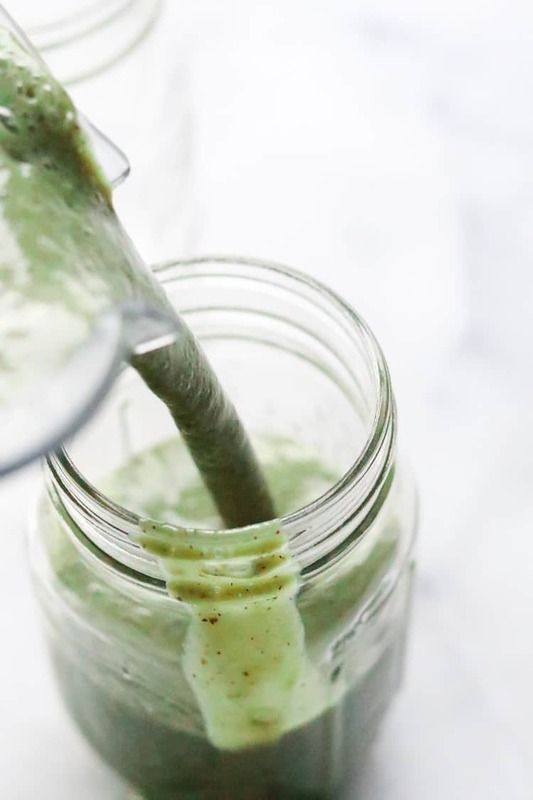 If you'd like to make your green smoothie a day ahead, be sure to go light on the flax seeds, as they will tend to thicken your smoothie over time. Thanks for sharing! I also bought my Vitamix at Costco and LOVE IT, but if you don’t already have the membership, may be cheaper to buy on Amazon. We used to make a similar smoothie and discovered that raw kale was giving me the worst stomach ache. After researching, some people struggle with digesting kale, so if it does, just ditch the kale for all spinach! We will also be adding pineapple to our smoothies going forward, I didn’t realize it was the secret to hiding the leafy green taste!